Abby Gordon and Tamar Frieze bring years of know-how to their nascent brand, Two Eight Four Weddings & Events. “I love working with my mom!” is a rare proclamation. 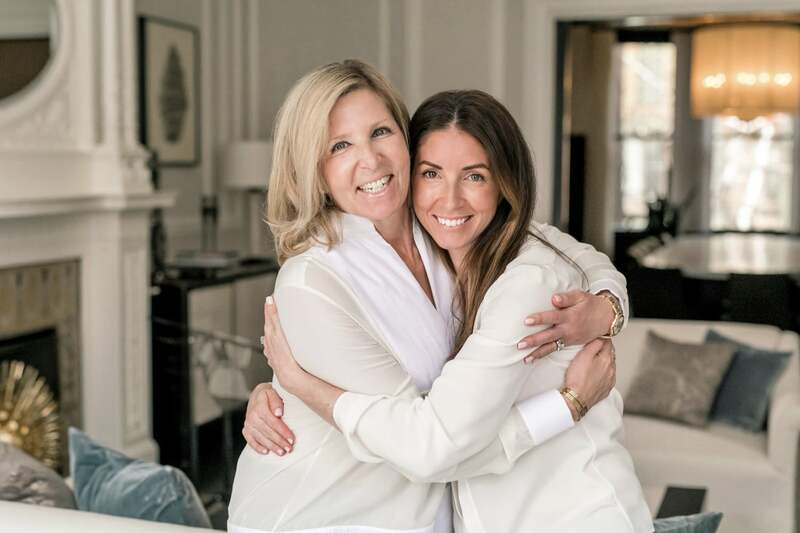 That Abby Gordon offers it wholeheartedly after 22 years of event planning at her mother Linda Matzkin’s storied firm, Hopple Popple, underscores the secret of her longevity in the business. It’s a pretty good indicator of what is sure to be long-term success for Two Eight Four Weddings & Events (twoeightfour.‌com), the newly announced partnership between Gordon and colleague Tamar Frieze. Their work is marked by refined grandeur. Outtakes from a modern, all-white wedding at the Museum of Fine Arts (the first to be held there once the organization opened it to private events in 2010) crackle with elegance, while a tented wedding on Cape Cod is crisp and clean. This spring, the pair is seeing a trend toward inky blues and shades of navy with soft accent colors, as well as deeper emeralds, forest moss and variegated greenery. Gordon notes that favors have been replaced by requests for sweet send-offs. For a recent wedding, as guests left, trays of cotton candy in paper cones held up by helium balloons floated through the air so the server was simply guiding the tray. They’re also seeing a return to tradition, with Jackie O-type details like classic engraved ecru invitations and monogrammed linens. And gracious hosting is key, with the importance of a fully planned roster of weekend events showing no signs of slowing down.